U.S. Border Patrol agent Brian A. Terry was killed during a shootout with Mexican bandits south of Tucson, Ariz., in December 2010. Weapons seized afterward were later linked to Operation Fast and Furious, an ATF effort to trace the flow of weapons to Mexican drug cartels. A long-awaited report on the U.S. government’s controversial gun-trafficking operation known as “Fast and Furious” released Wednesday found no evidence that Attorney General Eric Holder knew of the botched effort to trace the flow of guns to Mexico’s drug cartels prior to its public unraveling in January 2011. The report by the Justice Department’s Inspector General Michael Horowitz said there is "no evidence that ... Holder was informed about Operation Fast and Furious, or learned about the tactics employed by ATF in the investigation" before Congress began pressing him for information about it in early 2011. The Justice Department inspector general found no evidence that Atty. Gen. Eric Holder even knew about the operation that brought more than 2000 guns into Mexico. Fourteen federal law enforcement officials, however, are connected to the botched gun trafficking operation. NBC's Pete Williams reports. The inspector general did determine that the acting deputy attorney general, Gary Grindler, received a briefing about the ill-fated gun-tracing operation in March 2010, but that the briefing "failed to alert Grindler to problems in the investigation." The report also concluded that the operation was "seriously flawed and supervised irresponsibly" by federal officials in Arizona, who allowed it to continue in hopes of scoring a big case against a gun-trafficking organization despite obvious problems. 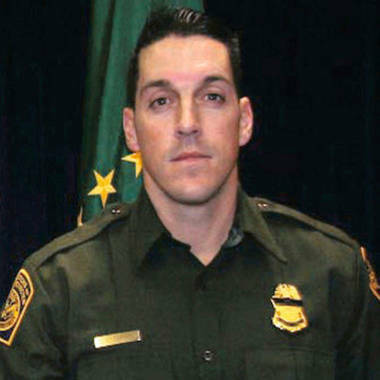 No one in Arizona, at ATF headquarters in Washington or at the Justice Department acted to end the operation until two weapons that were allowed to flow into Mexico were found at the scene of a shootout where a federal border agent, Brian Terry, was killed in December 2010. "Fast and Furious" was an attempt to trace the flow of guns from the US into Mexico. ATF agents were instructed to allow suspected gun runners for the Mexican cartels to take guns into Mexico, because local ATF officials and local prosecutors believed they could then follow the weapons to the cartel higher-ups in Mexico. It didn't work that way, and roughly 2,000 guns were lost, most of them AK-47-type rifles, the report said. Even after two of the trafficked guns showed up at the scene of Terry's death, senior ATF leaders did little to find out what went wrong. Instead, the report said, Kenneth Melson, then the acting ATF director, seemed more concern that agents were leaking information to the news media about the botched operation. Holder, in a statement issued immediately after the report's release, said its "key conclusions are consistent with what I, and other Justice Department officials, have said for many months now," that senior Justice Department officials were unaware of the "flawed strategy and tactics" that dated back to the administration of George W. Bush and made no effort to "cover up information or mislead Congress about it." Holder also announced that Melson, who was transferred out of the top job at the ATF last year, was retiring, effective immediately. A second Justice Department official, former Deputy Assistant Attorney General Jason Weinstein, has resigned. The report said Weinstein failed to tell Attorney General Holder about problems with the Fast and Furious operation. In all, 14 current federal employees were singled out in the report for potential disciplinary action. The report's publication seemed to do little to end the bitter rivalry between Holder and Rep. Darrel Issa, the California Republican who was among the first to question the Fast and Furious operation. "It is unfortunate that some were so quick to make baseless accusations before they possessed the facts about these operations -- accusations that turned out to be without foundation and that have caused a great deal of unnecessary harm and confusion," Holder said in his statement. "I hope today's report acts as a reminder of the dangers of adopting as fact unsubstantiated conclusions before an investigation of the circumstances is completed," he said. In his own statement, Issa said, "Contrary to the denials of the attorney general and his political defenders in Congress, the investigation found that information in wiretap applications approved by senior Justice Department officials in Washington did contain red flags showing reckless tactics and faults Attorney General Eric Holder’s inner circle for their conduct. "It’s time for President Obama to step in and provide accountability for officials at both the Department of Justice and ATF who failed to do their jobs," Issa said. The operation has become a politically charged partisan dispute heading into the November elections, with congressional Republicans charging that the Obama administration has withheld documents that would show the involvement of senior government officials, including Holder. On June 28, the Republican-led House of Representatives voted to hold Holder in contempt of Congress for failing to disclose internal Justice Department documents in response to a subpoena – the first time that sanction has been imposed on a sitting member of a president’s Cabinet. The department’s inspector general spent more than a year investigating the so-called “gun-walking” scandal – in which agents of the federal Bureau of Alcohol, Tobacco, Firearms and Explosives, commonly known by the ATF acronym, in Arizona allow suspected gun runners to take guns into Mexico. The Fast and Furious operation was part of a broader initiative known as Project Gunrunner. Local ATF officials and local prosecutors believed they could then follow the weapons to the cartel higher-ups in Mexico. It didn't work that way. Thousands of guns were lost and only lower-level straw buyers of the weapons were ever arrested. Two of the weapons turned up at the scene of a shootout where a federal border agent, Brian Terry, was killed on Dec. 14, 2010, near the Mexico border, though those guns were never tied directly to his death. A Mexican legislator, Humberto Benitez Trevino, claimed last year that weapons that crossed the border during the attempted sting have been linked to the deaths or wounding of at least 150 Mexican civilians, but did not provide any supporting documentation or say how that number was calculated. Pete Williams is NBC News justice correspondent; NBC News Projects Editor Mike Brunker also contributed to this report.